In order to provide the best final product, we strive to develop a creative concept based on a clear vision of your audience and objectives. We deliver creative, cost effective and engaging solutions from inception to media delivery. Our portfolio includes edited videos for marketing, sales, promotion, training, fundraising, education, advertising and broadcast television. Request television and radio content. Our first and last goal is your complete satisfaction and we provide a multitude of services and technical support for our rentals. Equipment is available for Meetings & Conferences, Product Launches, Trade Shows & Exhibitions, Concerts and Parties and much more. MMJ rental services promise you high quality of equipment, latest technology, best service – and your complete satisfaction. We provide a combined paging, and background music solution. We are fully licensed to play music in public spaces and our customers enjoy commercial free music from multiple genres. Customers have benefited from increased productivity and conversation privacy. Our integrated paging solution increase productivity, professional image, and better customer service through greater accessibility to people. 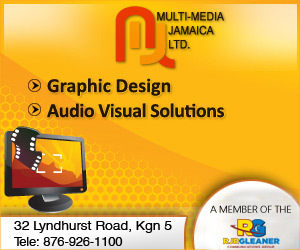 We design solutions, that have clean, clear sound. We take into consideration: ambient and peak noise sound pressure measurements, room dimensions, ceiling height, and your specific design and integration goals. Our reliable service is attested by our established client base that includes banks, insurance companies, hospitals, restaurants, factories and offices of all sizes. Request site evaluation and estimate. We are a professional graphic design company with a long standing reputation for providing outstanding results. You only have a few seconds to catch the attention of your prospects, and we have proven time and time again that we can help our clients do exactly that. You may have the best products in the world and provide customer service that is light years ahead of your competition, but if your image doesn’t convey that, you may never have the opportunity to prove it. We can help you overcome that by developing the image of a powerful, well-established company, just like we’ve done for thousands of other clients. Our “Messages On Hold” provide the promotional messages you hear on the phone when your call is placed on hold or transferred to another line. Messages On Hold cost-effectively target an interested, and captive audience at a crucial junction – on the phone at point of sale. Benefits include driving sales via subtle up-sell , and cross- promotional messaging, differentiating your business from its competitors, increasing product and service awareness and most importantly preventing caller hang ups. The technology of our Message on Hold system makes it extremely easy to use and is suitable for all types of PBX systems and single line telephones. Whether you’re in your home office, small office or large enterprise, our system will help to promote your products or services with custom designed messages or music. Live Streaming for Broadcasters (TV, CABLE and Radio), Concert Events, Press Launches, Education, and Private Events. We are committed to your marketing strategy and content monetization models. We support interactive player designs with built in advertising components, and syndication to drive brand awareness and revenue.